One Reel is a Seattle-based non-profit arts, cultural, and special events producer specializing in events that inform as well as entertain. 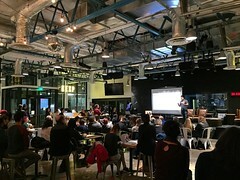 The organization has developed events as diverse and successful as Family Fourth at Lake Union, Bumbershoot, Teatro ZinZanni “Dinner and Dreams,” and many, many more. 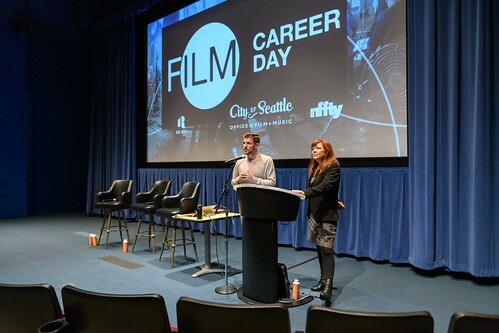 Right now, One Reel – alongside City of Music partners, including the Seattle Office of Film + Music, KEXP, Sub Pop, and more – is developing a program called City of Music Career Day. One Reel seeks one talented intern to work on the event from August 6, to early October. The intern will gain valuable insight and experience in event coordination, including planning, partner, sponsor and vendor cultivation, and on-site coordination. 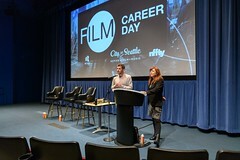 City of Music Career Day will take place on September 27 at the Rainier Room in Seattle Center. It may only be spring (even if the weather refuses to acknowledge the change in season), but Bumbershoot is already reaching out to fans anticipating the fall music and arts extraveganza taking place over Labor Day Weekend. The festival unveiled a campaign to reveal once artist a day in May, culminating in the announcement of the entire Bumbershoot lineup on June 1. The first act to be confirmed is Pittsburgh rapper Wiz Khalifa, best known for his infectious #1 single “Black and Yellow”. 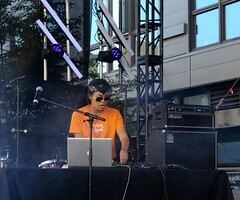 Follow the Bumbershoot blog or Facebook page to get your daily dose of Bumbershoot artist news. Western Washington University’s Pop Music Industry Conference–an annual event held at the school’s Bellingham campus which aims to help aspiring music professionals learn about the business side of music–kicks off tomorrow, March 5, with a keynote address from Seattle Music Commission chair, Ben London. 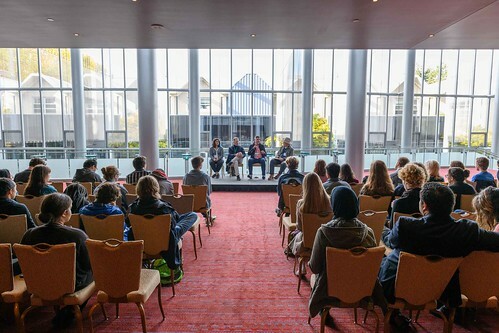 The weekend-long Conference features all-day sessions covering four business tracks—Artist, Venue and Promoter, Music and Entertainment Media, and Talent Representation, but attendees can mix and match to their hearts’ content. 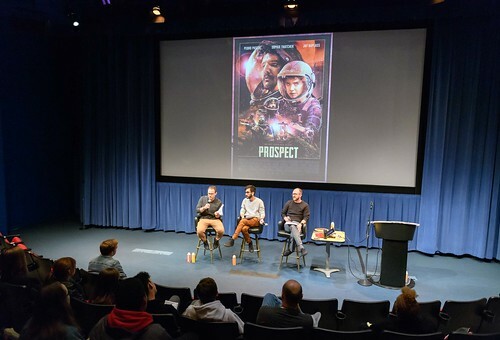 Sessions are free to all, but package deals including a brunch and keynote address with Bumbershoot Programming Director Chris Porter and a Saturday night concert with performances from the Globes, Cataldo and B-ham faves Polecat, runs just $10 bucks. For the full scoop on the event or to register, follow the above link. The highly anticipated Labor Day weekend fest, Bumbershoot is over, but you can relive all the magic via the internet on basically any site you check. 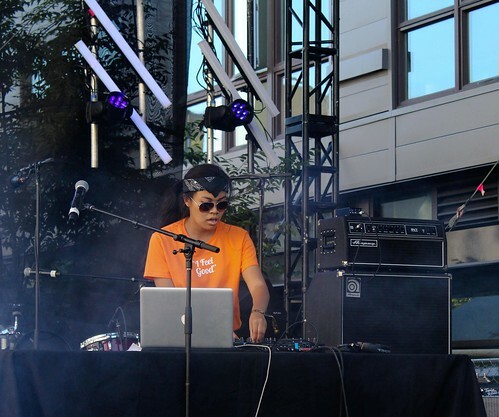 Seattle Times writes about the festival’s 40 year history and how this year chalked up. Check out pics at Seattlepi.com. Seattle Weekly was all abuzz about the various artists, including Jamie Lidell, Hole, Jenny and Johnny, Georgia Anne Muldrow and Declaime and more. And The Stranger got insider previews, reviews, photos and more of the weekend fun. Nationally, check out the link above for Rolling Stone’s pictorial roundup. The general consensus of Bumbershoot 2010? Hole was surprisingly fantastic, Bob Dylan was unsurprisingly underwhelming and Wheedle’s Groove was worthy of its day by mayoral proclamation. Bumbershoot begins this Saturday, but you can start the festivities a night early with a free screening of award-winning shorts from all corners of the world brought to you courtesy of SIFF and One Reel. Films to be screened at this special preview event include Ana’s Playground, Glenn Owen Dodds, Incident By A Bank, Ormie, Seeds of the Fall, Zero and more. The screening will take place on Friday, September 3 at 8 pm at SIFF Cinema. The event is free, but you must RSVP (at above link). The entire weekend will feature showings of local films, shorts and winners from this year’s SIFF. Click here for a full listing of the exciting film events at this year’s Bumbershoot. Rock Trivia takes place every Tuesday night at 8 pm at West Seattle’s Feedback Lounge. The August 24 edition will feature Bumbershoot-themed Brain Busters covering all 40 years of the Festival. Form a team and be prepared to flaunt your Bumbershoot knowledge. Follow the link above for more information about the event, including the venue’s address. It’s been 40 years since beloved Seattle event, Bumbershoot, first set the stage for its rocking festival. And we think that’s something to celebrate. This Friday, August 13, head over for a special Happy 40th Birthday Bumbershoot happy hour at the Pan Pacific Hotel. The free event is from 4-6pm and will feature a playlist of Bumbershoot artists past and present, light appetizers and fun door prizes. There will even be specialty Bumbershoot Trophy Cupcakes! The first 40 guests in the door will also receive a surprise gift courtesy of the Pan Pacific. Check out the link for details.